HealthDay News — Cardiologist care is associated with a lower rate of death in patients with new-onset atrial fibrillation (AF), according to a study published in the Canadian Journal of Cardiology. Sheldon M. Singh, MD, from the University of Toronto, and colleagues assessed the association between cardiologist care and clinical outcomes among patients (aged 20 to 80 years) presenting to an emergency department with new-onset AF between 2010 and 2012. Administrative databases were used to match patients who saw and did not see a cardiologist within 1 year of the initial diagnosis and allowed for assessment of clinical end points. The researchers found that cardiologist care was associated with a lower 1-year rate of death (hazard ratio, 0.68). 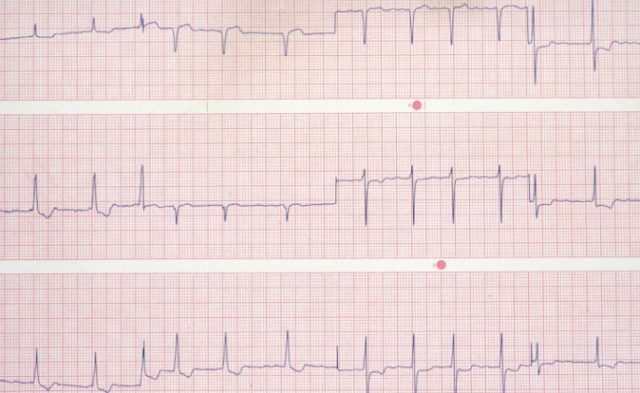 This decreased rate of death existed despite an increased rate of hospitalizations for AF, stroke syndromes, bleeding, and heart failure associated with cardiologist care. “Further study to obtain a greater understanding of the processes of care associated with the observed survival improvement is warranted,” the authors write. Singh SM, Giu F, Webster L, et al. The relationship between cardiologist care and clinical outcomes in patients with new-onset atrial fibrillation. Can J Cardiol. 2017;33(12):1693-1700.